Phil Marie is a Brilliant Personal and Professional Development Leader. A creative thought leader providing intelligent delivery of personal and professional development training solutions for STEM, Women and Girls, Leadership and Faith. "Phil Marie" is the Chief Executive Officer of PhiDex Enterprises LLC, a personal and professional development organization specializing in "Passionately Helping Individuals Develop Excellence." Phil Marie is author of "Women's Career Investment and the Returns: Career Benefit and Barriers in the 21st Century Green Economy." Forum on Public Policy, Volume 2010, No 2. (September 2010). Phil Marie was a "Scholar-in-Residence at Oxford's Roundtable in Oxford, England. She was invited to the roundtable on "Women Career Benefits and Barriers," in the Spring of 2010. 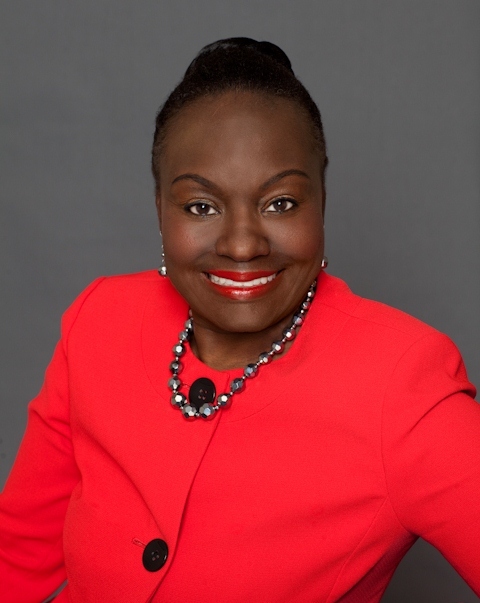 She is a charismatic and insightful educator, career, and empowerment strategist who has been applauded for being a "defining force" in leadership, higher education, business and STEM Awareness. Phil Marie has conducted over 200 personal and professional development workshops and trainings, and is co-developer for "The Cost of Success Training (C.O.S.T. )™" this training is designed to help professionals achieve brilliance in their family, work, and life balance. Phil Marie has worked professionally in various positions and has been receive prominence for being the resident czar in higher education, business, and marketplace ministry and is a passionate life long learner. In 2013 Phil Marie enrolled in Walden University's Online Ph.D. in Education Program with a specilization in Leadership, Policy, and Change in Education. She is a graduate of the International School of Ministry (ISOM), with Certificates in Biblical Studies and for participation in a "Archaeological Dig" on a Missions Tour to Israel in 2011. She was recognized by Cambridge Who's Who Among Executives, Professionals and Entrepreneurs in Fall of 2010. Phil Marie is a graduate of the State University of New York College at Buffalo's Master of Science Program in Student Personnel Administration with a Certificate of Achievement and Recognition from the Graduate Association for Student Personnel Administrators, the State University of New York at Buffalo's School of Management with a Bachelor of Science in Business Administration, and the American Institute of Banking with a Certificate in Accelerated Banking. Phil Marie is also a Certified MBTI Qualifying Professional, Prepare and Enrich Relationship Assessment Facilitator, Life Leadership and an Independent Beauty Consultant with Mary Kay. Phil Marie has received numerous awards, certificates of recognitions, and proclamations from national, state and local officials for her community outreach endeavors and initiatives. She and her husband Dr. Dexter Johnson are foster to adopt parents, actively involved with their local church and co-founders of "Brilliant Mind Marriages and Relationships Conference." Find out more about Phil Marie at http://www.phidexenterprises.com.